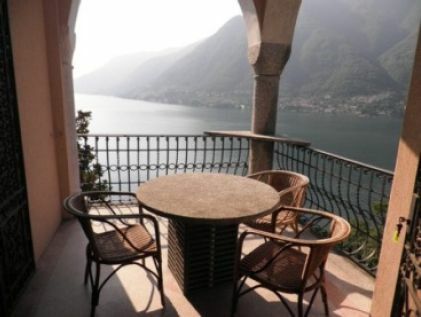 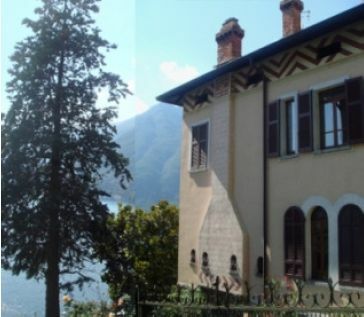 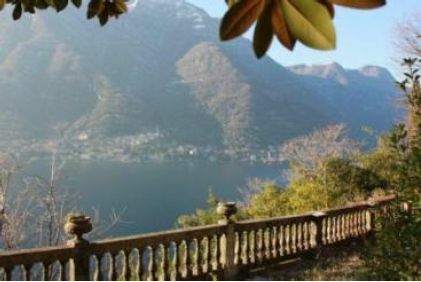 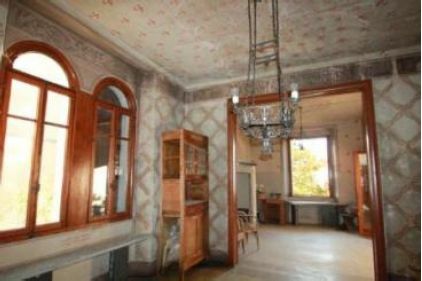 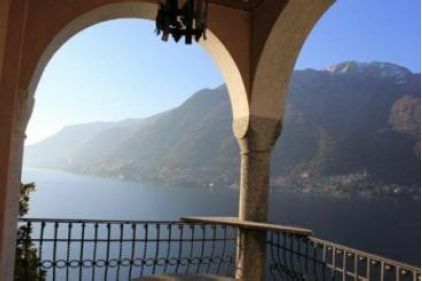 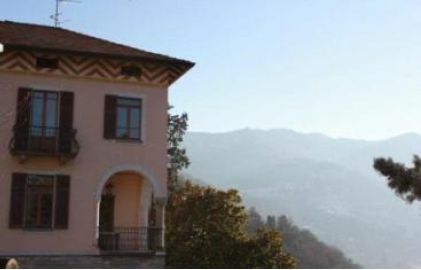 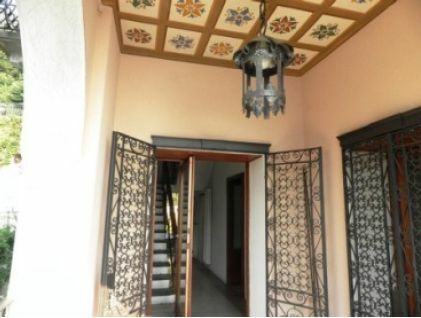 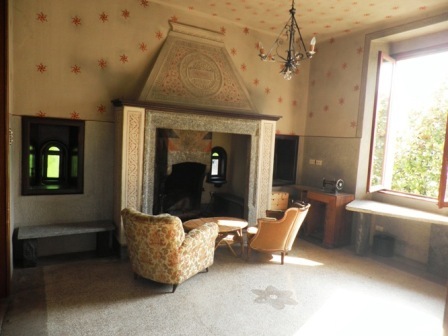 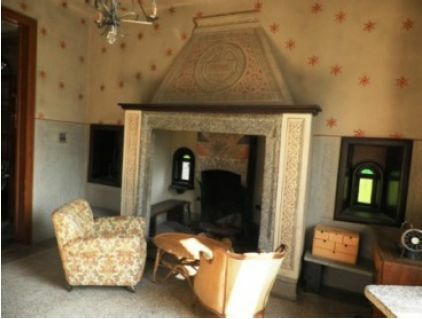 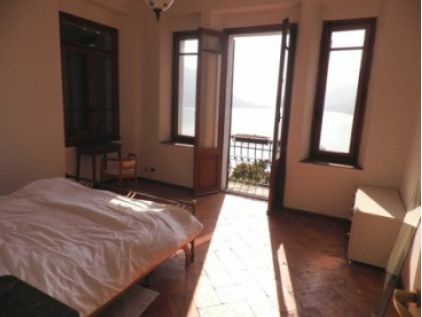 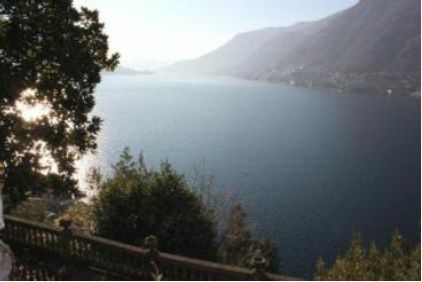 This elegant villa was built at the beginning of the 1900’s and is set in a stunning position on the edge of a cliff right on the lake in Pognana Lario. 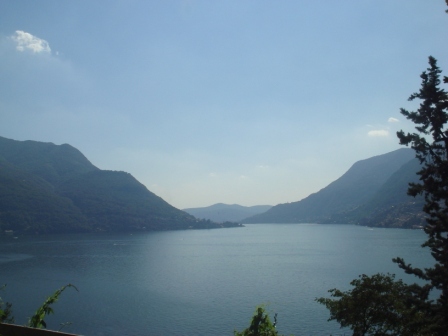 Pognana Lario is only 5 miles from Como and 6 miles from Bellagio. 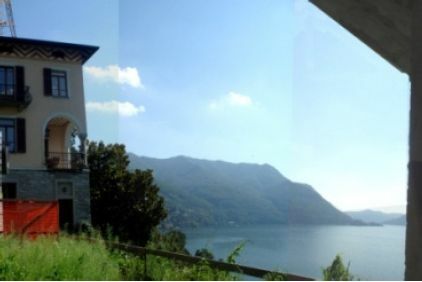 This beautiful Liberty Style villa enjoys uninterrupted 180 degrees view of the lake, and the sunset behind the mountains directly opposite. 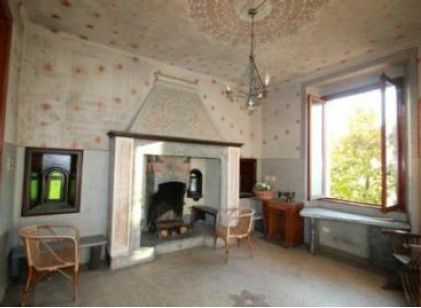 The villa is 330 sqm and still maintains most of the period features including two beautiful period fireplaces. 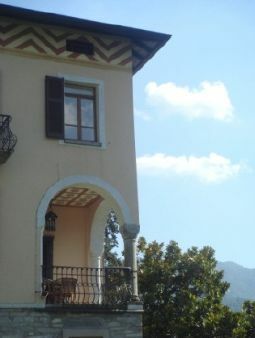 The entrance to the villa is at first floor level and on this level there are two well proportioned rooms with direct access to the wonderful Loggia. 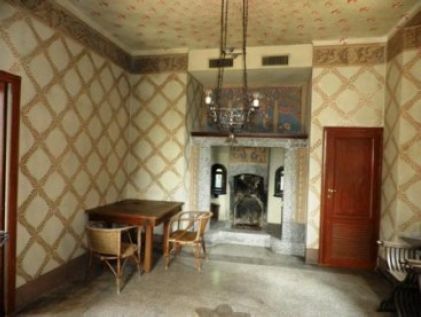 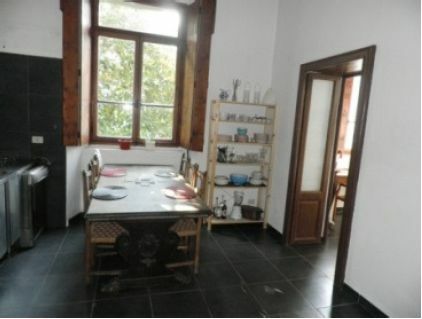 On the ground floor there is the kitchen, dining room and a number of support rooms. 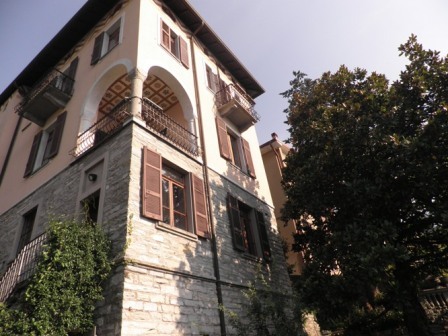 This level provides access to the terraced garden of 600sqm, where a swimming pool could be built. 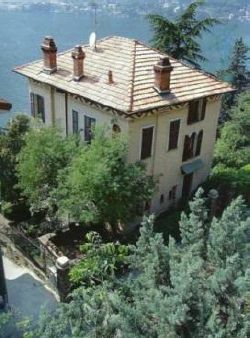 On second Floor level there is the master bedroom with balcony overlooking the lake, a second double bedroom and a single bedroom. 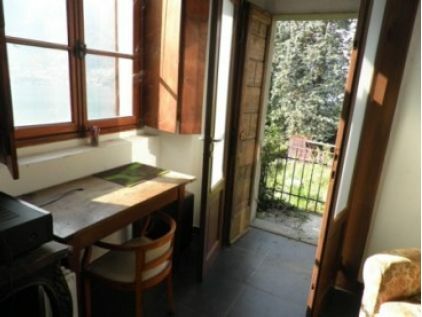 It is possible to create additional rooms, including bedrooms in the attic. 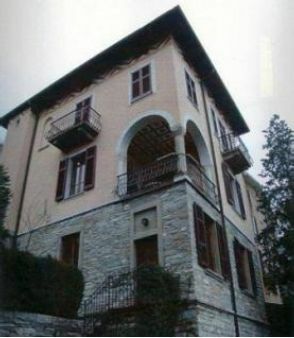 The property also benefits from a double garage. 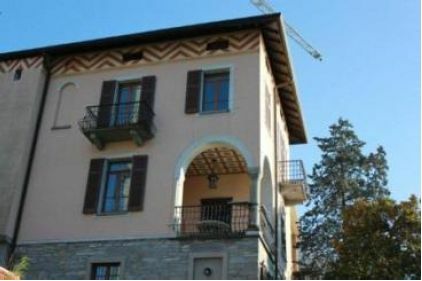 Pognana Lario amenities and ferry are at walking distance.